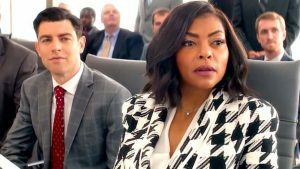 In keeping with the formula set forth in What Women Want, What Men Want takes a self-absorbed woman utilizing her assets (including her brain) to get what she wants and sends her on an albeit short journey to bridge the abyss between men and women as well as men and men. Yes, whether heterosexual or homosexual, we all are our own greatest obstacle to love and understanding. Now armed with the ability to hear men’s thoughts and her trusted assistant, Brandon Wallace (Josh Brener), Ali seeks to right the ship she travels within. Henson has made me shout my internal “Yes, Girl!” ever since I saw her in Something New. Although the role that really showed me Henson’s potential is, without question, Cookie on the hit TV show Empire. Henson has a strong presence as well as quirkiness as Ali that is initially annoying and disarming. Although her facial expressions and mannerisms were a little too over the top which was weird because she is usually consistently on point. The evolution of Ali is subtle except to those that have undergone such a transformation. Perhaps Adam Shankman, the director, trickled signs of Ali’s change as women internalize our responses where men externalize their growth. Anyway, Henson has entertained audiences in multiple roles that I really enjoyed and next to Cookie is definitely as Lauren in the Think Like a Man series. Just as Mel Gibson had Eve and Ginger in What Women Want, Henson had Brandon (Brener). Brener was witty and sarcastic which was engaging and nearly permitted him to steal the show. My first encounter with this talented young man was the TV show Scandal where Brener briefly played the spoiled son of a wealthy man. He has exhibited great comedic potential. I look forward to his future work. Tracy Morgan, like Henson, was a little off on his comedic bits, too. 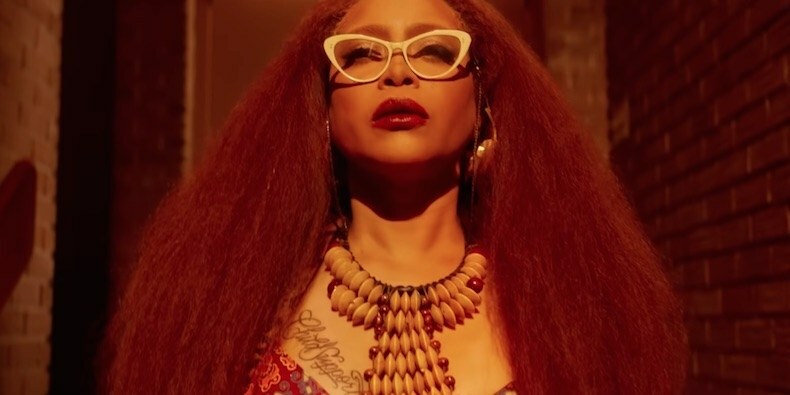 Erykah Badu was an interesting contribution to this loony cast. She was wise and crazy, talk about your oxymoron. Badu for sure played her part well; stick around for the outtakes is all I’ll say. I was pleasantly surprised by the addition of Brian Bosworth as Ali’s boss, Nick. 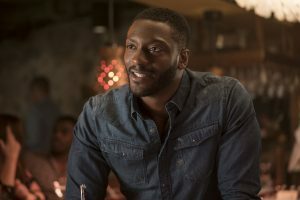 Ali’s love interest, Will (Aldis Hodge), was a fine example of how a man should be yet his performance paled in the presence of his five-year-old son, Ben (Auston Jon Moore). Moore is already quite the burgeoning talent. Sophistication and wit flowed from Moore making the audience do a double take to make sure it wasn’t an adult speaking the words. Overall, I enjoyed What Men Want and do highly recommend it. It is however not without its faults. The sound mixing needed some work because the levels were way too high for the soundtrack, almost headache causing. Excellent sound though. Also, the control of or image correction for too much sunlight washed out the image many times. What Men Want has a good amount of genuine laughs along with some sage advice. As it is rated R expect lots of vulgar language among other things. This entry was posted on Friday, February 8th, 2019 at 11:52 pm	and is filed under Film, News. You can follow any responses to this entry through the RSS 2.0 feed. You can skip to the end and leave a response. Pinging is currently not allowed. « ‘They Live’ with Special Guests Spencer Hickman and Mo Shafeek from Mondo: My Bloody Podcast #37!